Yeah, this site is seven years old. In 2011, I registered the domain and started writing. I obviously don’t write as much as I did when I began. It was fall. Lovely weather. 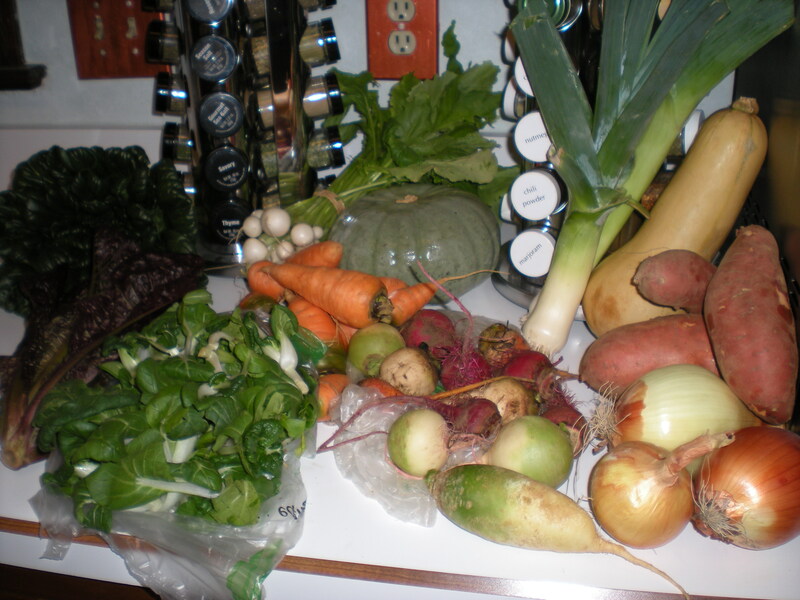 I wrote mostly about my farm share, and my hobbies which included my volunteer work at the Howard County Conservancy. I have to admit it was really about documenting the farm share to assist people (like me) who wanted to see what you got when you signed up for Community Supported Agriculture. Like those from my Lancaster Farm Fresh CSA. Which I also joined in 2011. And which is still a weekly part of my life. Those Tuesday pickups at Candace’s house, year round. 48 weeks of the year, with just a few weeks off over the holidays. I haven’t documented them these days. I decided it was far too repetitive. But they still inspire my cooking, like this week when we got freshly grown ginger roots. Not dried. Young and fragrant. Making me want to make stir fry. As for the Conservancy connection, I have changed what I do. Not as much volunteer naturalist, but still on the program committee, and still the community garden co-manager. I use my love of cooking to support our programs. Scones for the Mother’s Day tea. Vegetarian options to feed the volunteers at our Holiday crafts fair. Soups for pot luck meals. I tell stories on paper. Why do I mention this? To advertise the upcoming storytelling event on November 9th. At the Mt. Pleasant site of the Conservancy. Co-sponsored by CA and Rec and Parks. Some good friends will be telling their stories. It reminds me that I should pay more attention to this site and keep my stories alive. After all, sharing our stories keeps us connected. Posted in Commentary, Community, Food, Volunteering and tagged commentary, community, CSA, Food, Howard County, howard county conservancy, volunteering. Bookmark the permalink.